Are you really proud of team results this year? Do you want to say thank you and incentivise them for even better results next year? Well our fab wooden boxes are a great way of doing that… they’ll definitely get everyone smiling! Whether you’re planning an event, a mailshot to customers, or an exhibition, we can put together little personalised giveaway bags with personalised labels… they always go down a treat! 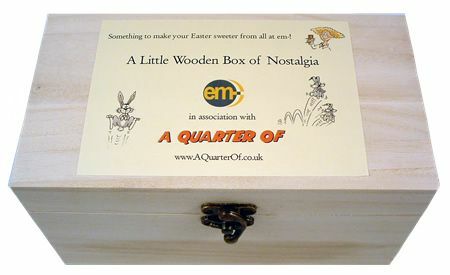 Forget boring, run of the mill gifts like wine and chocolates… make your customers smile by sending them an original gift – Large Wooden Boxes of Nostalgia with a personalised label. We can even take care of the shipping direct to the customer! Why not offer your guests something a bit different? 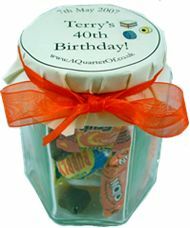 We can put together fab little glass gift jars full of retro sweets… and personalised labels. That’ll really make your hotel stand out from the crowd! And then there’s the FILLINGS (mmmmm… yum!). 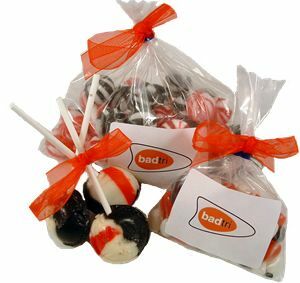 People LOVE to be reminded of the sweets they used to buy as children, and our delicious sweets make people SMILE and reminisce. Oh, and did we mention just how lip-smackingly scrumptious our sweets are? It’s all about DETAIL. It’s the little things, like the ribbon, the tissue paper, the little gift message, that makes a gift special. We are obsessive about the little extra touches, and each gift box is carefully assembled and packed to ensure it arrives in tip-top condition. EASY, hassle-free ordering process. Once you’ve chosen the gift box, add it to your basket, go to the checkout and input the delivery address and payment details, and hey presto! You can send it direct to the lucky recipient with a gift message. We’re QUICK! So if it’s a last-minute purchase (shame on you! ), we can turn it around within the same day (if requested), and get it delivered the next day. We’re totally passionate about CUSTOMER SERVICE. If you have any questions, problems, or if you need gift inspiration, you can email us or call us and we’ll be delighted to help! 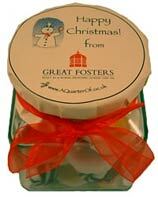 See the whole range of Gift Jars here... and the whole range of Gift Boxes here. And don't forget our Gift Vouchers here too! Be remembered with a smile! Our boxes and jars are a great way of making you stand out! 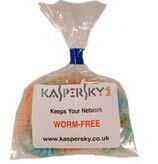 They’re crammed full of retro sweets, and we can personalise the label so they’ll never forget you! Looking for Wedding Favour Ideas?